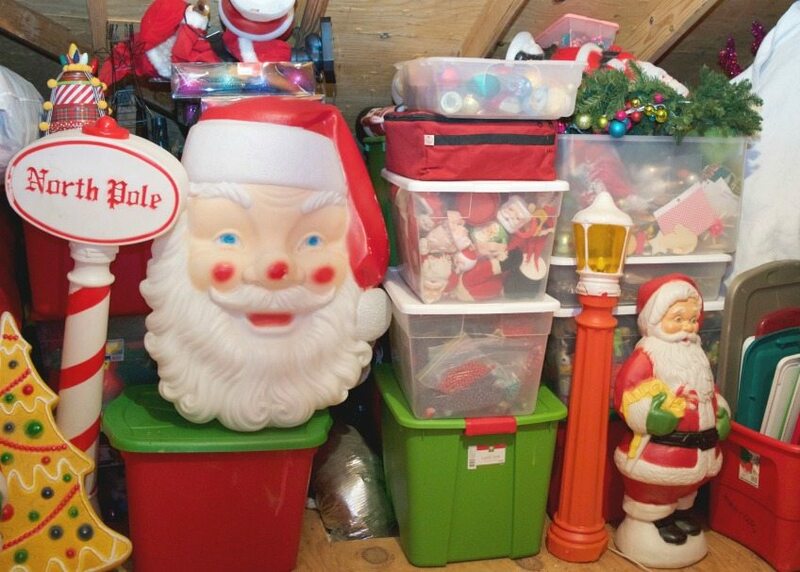 My main holiday storage is in my attic. Lucky me I have two of them. However, the one over my house is where all my Christmas decorations go to live in the off months. If you prefer to watch rather than to read I also did this handy dandy attic tour for DIY This With Jennifer Perkins which outlines all my favorite holiday storage points. 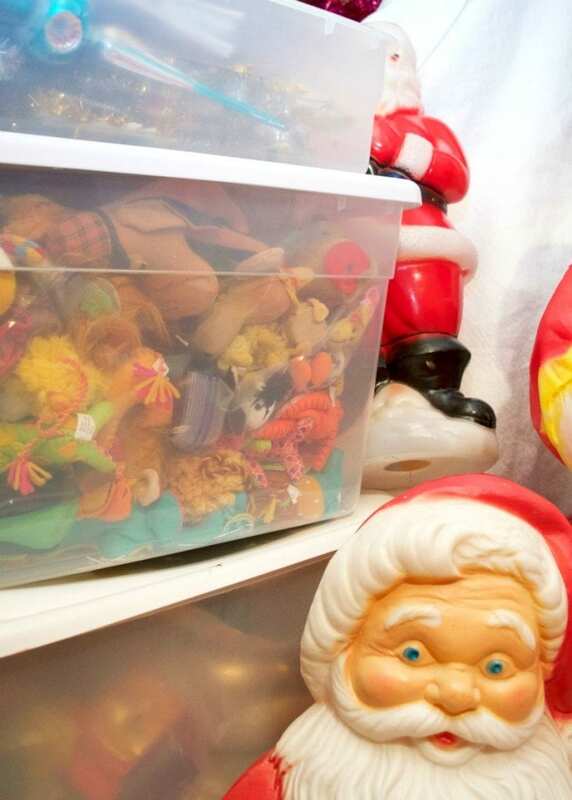 Also, don’t forget to check out Secrets to Holiday Storage Success. You should be ready to conquer operation Christmas clean-up (AKA clear space for your Valentine’s Day Decorations) in no time after all these ideas. Let’s talk about what to do with all of those Christmas trees. I’m a fan of tree bags. The Rolling Tree Bags I have from Treetopia are huge and will hold several trees. If you are using a tree bag in your attic like I do you need to consider whether you will be putting your tree inside the bag before or after you drag it up the stairs. For trees that are flocked or shed more than others I’d put them in the bag before. Any other trees can be taken up the attic stairs in parts and placed in the bags. These handy bags will also sit vertical to save space. Not all of my trees go in bags. My smaller trees go in several large clear tubs. I decorate all year long so I want to be able to see all my trees. An important thing to remember whether you use a bag or a bin is that attics get HOT. Don’t store things like pastel colored trees or white trees in the attic or they will become discolored from the heat. Read 5 Ways to Avoid Heat Damage to Your Holiday Decor for more. Same goes for wreath storage. 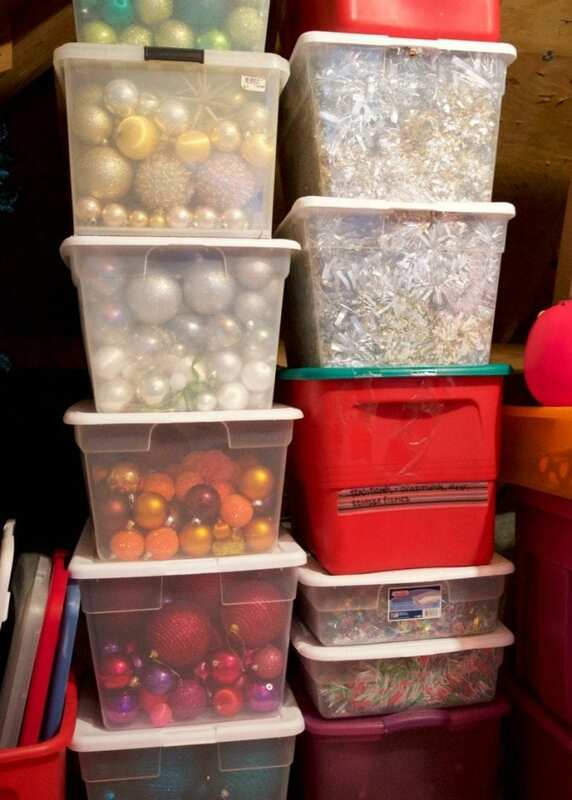 Ornament Storage Bags are Must Haves for Holiday Hoarders – I know, I wrote the article. If you don’t want to go to the trouble of wrapping up each precious heirloom ornie then these bags will be your new best friend. Plus they are double layered and you can adjust the sizes to fit your ornaments. 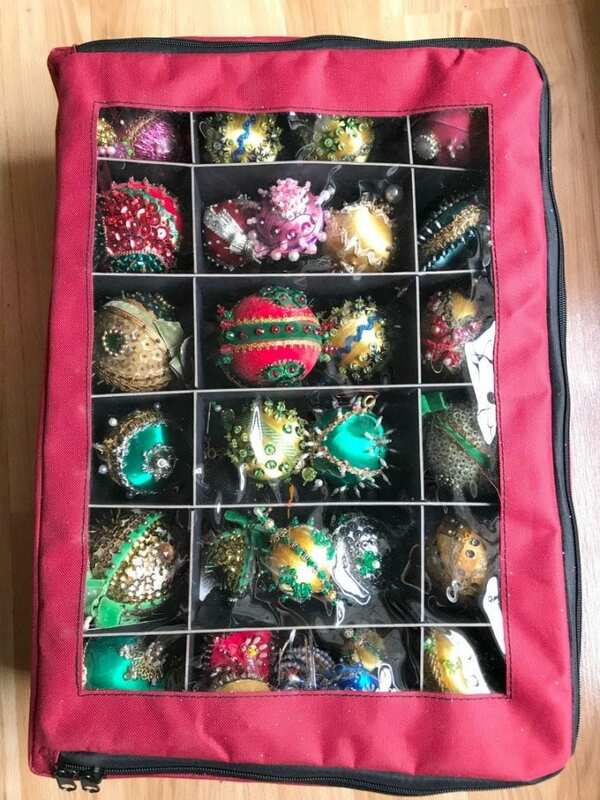 If you have more fragile ornaments than you have ornament bags you can always DIY your own. All you need is a square shaped plastic bin, cardboard and clear cups. 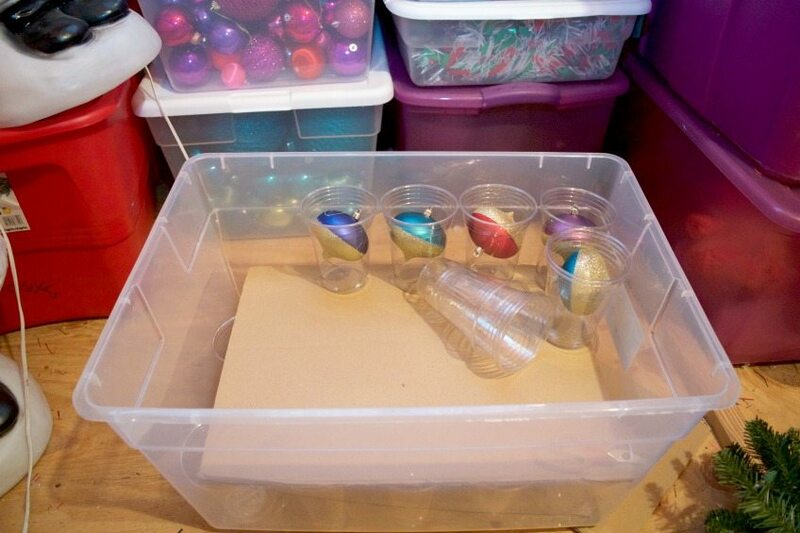 Add ornaments to cups, place cardboard on top, stack and repeat. Be sure to use clear cups and bins so you see what you have where. Majority of my solid colored ornaments are shatterproof. In other words I can just throw them in color coded tubs and forget about it. I would not recommend this option for glass ornaments but for plastic and it works fine. 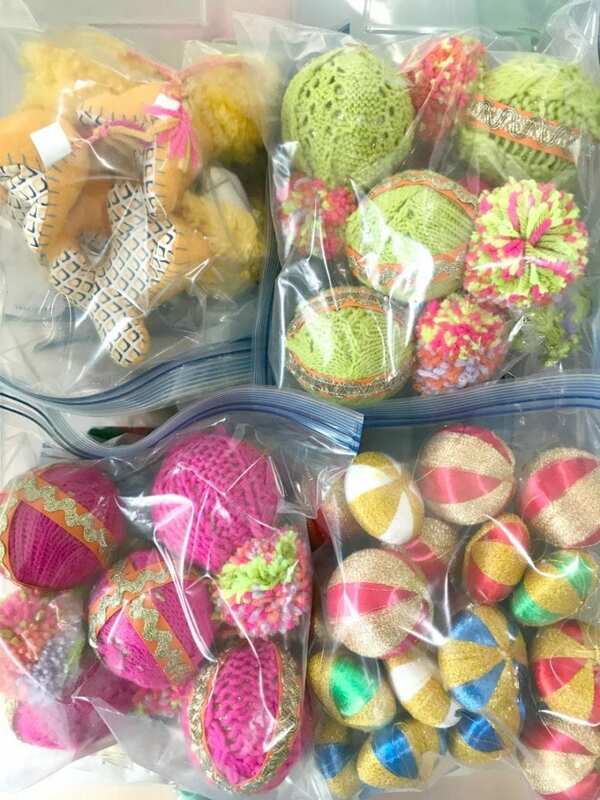 Another option for non-breakable ornaments is to organize them into large freezer bags. 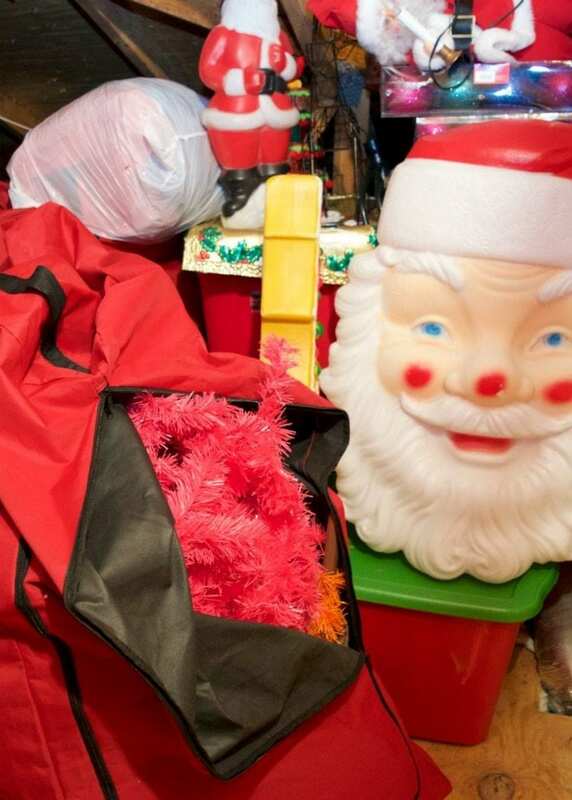 Plush, plastic and foam ornaments can all be grouped into bags that are put into large tubs and bins. It seems like a pain now, but come fall 2018 you will thank yourself for taking the time. 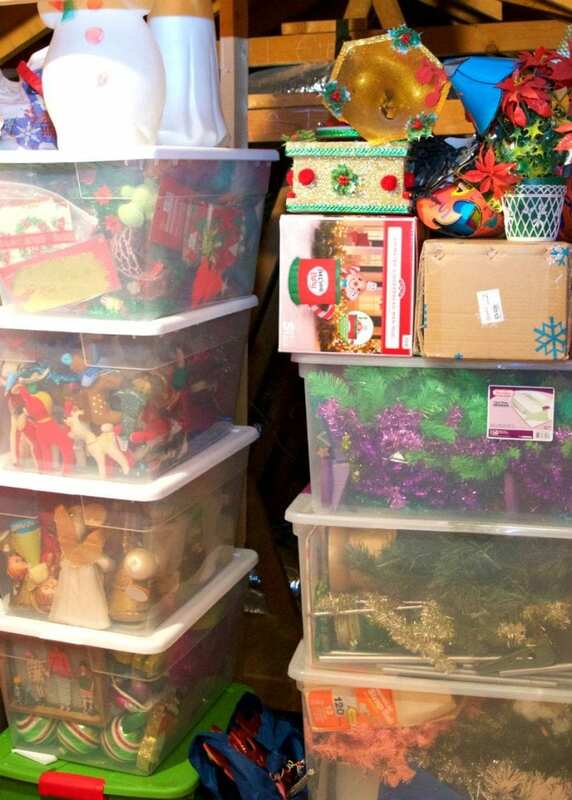 Let us know how you store your holiday decorations. Are you a bag or bin kinda person?